Chargemap uses its expertise in electric charging to offer innovative solutions to all companies facing issues related to charging electric vehicles. 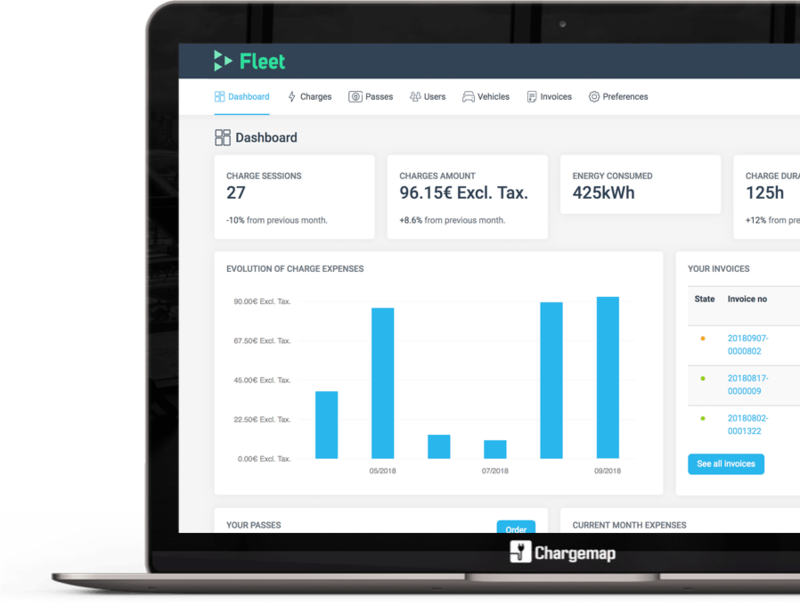 Converting your fleet to electric vehicles is easy with Chargemap Fleet. 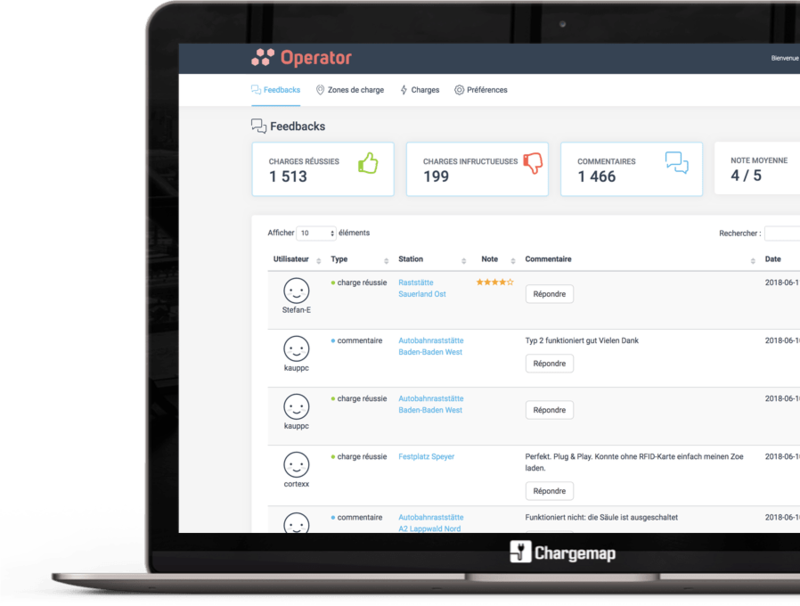 Improve the quality of your charging network by connecting directly with the Chargemap community.